Injury cases are complex. Success is achieved when you are represented by a highly competent and knowledgeable personal injury attorney that is supported by a dedicated and experienced team. 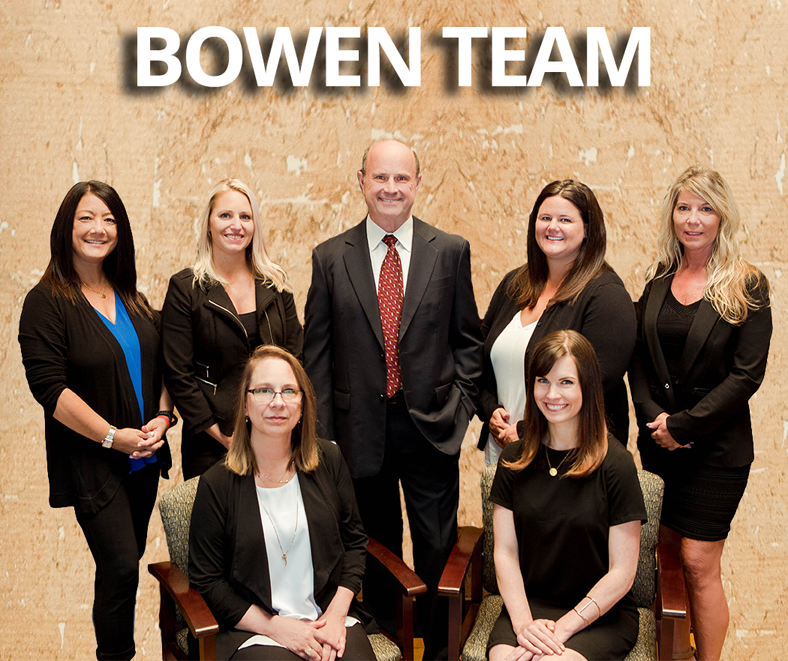 Scott Bowen has been an attorney in Washington State for over 35 years. Since 1985 he has limited his law practice to injury claims and has successfully handled thousands of cases, either directly with insurance companies and corporations or through arbitration or trial. Scott knows the medicine involved in injury cases. He handles traumatic brain injury cases, spinal injury cases which involve paralysis and surgery, orthopedic injury cases and soft tissue cases. He understands the emotional and psychological aspects of serious and ongoing injuries. Scott uses the support of experienced medical professionals, expert witnesses and investigators. He is further supported by an in-house team of dedicated staff with many years of experience in personal injury litigation. Scott knows the law involved in injury cases. He is an Eagle Member of the Washington State Association of Justice, comprising members of the bar who are working to support the needs of injured clients. Scott is a chapter editor for the Washington State Bar Association’s “Washington Practice Deskbook” and has completed the update on the law of defective automobile equipment. He is a legal continuing education speaker on handling personal injury cases and on legal ethics in litigation. To achieve success in personal injury cases, a client should obtain an attorney who understands the importance of being trusted and having integrity. Scott Bowen is referred injury cases by other attorneys, doctors, clergy and insurance professionals. His former clients return and refer their friends and family members. He also regularly represents other attorneys, doctors and professionals who know his reputation. Scott Bowen is selected as a private arbitrator by other attorneys handling injury cases and is regularly appointed as a mandatory arbitrator in injury cases by the King and Snohomish County Superior Courts. He is appointed as a Washington State Special Assistant Attorney General in injury cases involving the Department of Labor and Industries. Scott is a trained and court approved Guardian Ad Litem and is appointed by the King County Superior Court to investigate the adequacy of injury settlements for minors and incompetent adults. Clients deserve an attorney who is not only experienced and trustworthy, but who also will be honest and straightforward in evaluating and presenting the case. Scott will provide reasoned legal counsel and case value estimations with supporting data. He understands that the best way to help clients receive the best result is to have a frank discussion on the merits of the case. Scott charges fair fees that are discussed up front. The initial consultation is free so potential clients can get to know Scott and understand the process. All fees are contingent on recovering a settlement and are typically one-third without hidden charges for file setup, faxes, staff work and travel. In all injury cases, Scott resolves outstanding medical liens and makes certain that liens and subrogation amounts are fairly paid. This avoids later disputes and problems.